The Lemon Shark has obtained its name thanks to the yellowish brown colour of the body. It’s also one of the most observed and known sharks, and it’s very easy to breed them in captivity. In the USA these sharks are used to research the impact of drugs and other substances on hearth activity, vision and movement coordination. Lemon Sharks live near the coastal waters of North and South America, from New Jersey to Brazil, as well as the western coast of Northern and Central Africa. These sharks prefer shallow and medium deep waters, not the open ocean territories. 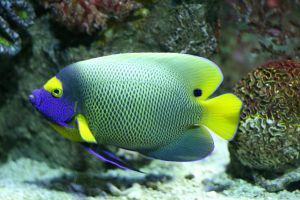 They can also be seen in gulfs or river deltas. The size of these sharks reaches up to 3,4 m in the wild, while in captivity males grow as long as 2,5 m, while females reach 2,6 m in length. 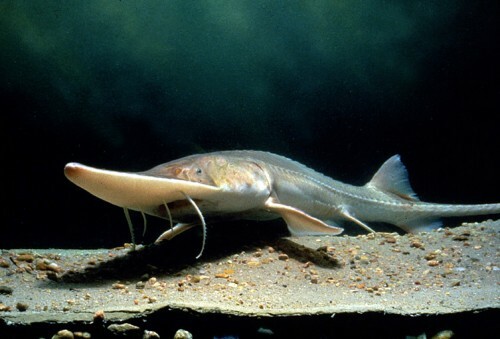 They have two back fins, both of about equal size and they are very capable swimmers. Although only six assaults on humans have been recorded, Lemon Sharks can be considered very dangerous and a killing a human would not be hard for this motorboat-sized sea predator. As most gray sharks, they are easy to provoke – quick movement in the water or submerged legs or hands may tempt the Lemon Shark to attack. This shark hunts on every fish that comes near and is the proper size. In coastal waters, their diet consists mostly of seabass and mullet. In deeper waters, they hunt mackarels, tunas, squids and octopuses. Young Lemon Sharks often gather in larger groups to hunt, while the mature sharks are most often solitary. Although many of them may gather near a large group of fishes, each of the sharks hunts independently. When hunting, they rely mostly on their excellent sense of hearing and smell. During the mating period, the male and the female bite each other, often resulting in quite serious injuries. After a gestation of about 9 months, the female finds a shallow place in the sea and gives birth to up to 10 live sharklings. Since their birth, they are completely independent and have to take care of themselves. The life expectancy and the age when sexual maturity is reached is unknown. So far six cases of a Lemon Shark attack have been confirmed, but there are probably much more. 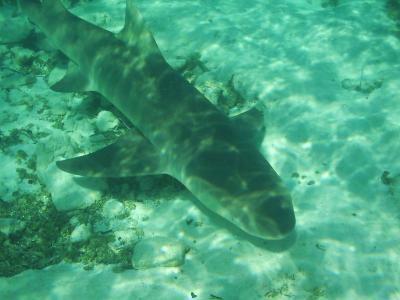 Lemon Sharks hold no economical value, but they are often used for medical experiments. Thanks to these experiments, it is known that these sharks can distinguish bright colours, especially orange and yellow – the colour of oxygen cylinders or lifejackets. 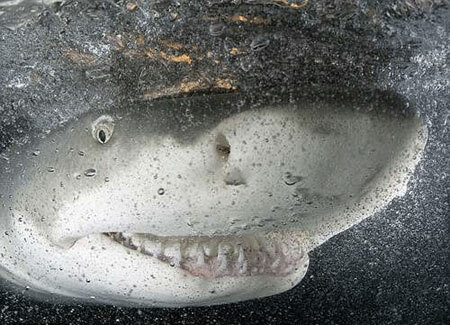 Lemon Sharks also react on low frequency water waves, most often caused by wounded fish or scuba diver movement. This shows that the Lemon Shark is actually very dangerous, most possibly even more than the infamous White Shark, which means that they should be avoided at all costs. people says nakakatakot daw ung mga sharks ,,,,,,,,,,,,,,but for me no ,and i like them……………..